Every business owner knows that efficient and productive operations rely not only on skilled and dedicated workers, but also on the tools they have at their disposal. In this day and age, tools refer to technology and businesses that want to remain competitive have to be vigilant about keeping their tools up-to-date. For many small businesses working on a tight budget, this can pose a problem. Unfortunately, technology is advancing at ever-increasing speeds. Securing the latest and greatest computer networks, hardware, and programming can cost a pretty penny. That said, with proper planning you needn’t overhaul your system annually. You should be able to find suitable solutions offering the utility and flexibility your small business needs to operate for at least the next few years with only minor updates or additions. The question, then, is how do you know when it’s finally time to upgrade to new equipment and software for your small business? Here are a few signs that an update to infrastructure is on the horizon. When your network administrator, IT staff, and other employees begin to report problems that threaten productivity, you’ll want to do all you can to resume efficient operations. This doesn’t necessarily call for a knee-jerk reaction like spending thousands of dollars on upgrades, but you will need to get to the root of the problem. If you’re seeing new issues cropping up regularly or old problems can’t be fixed and they’re getting worse, there’s a good chance your system is simply out of date, or possibly inadequate to meet your needs. In such cases, you’ll have to consider upgrading your system. 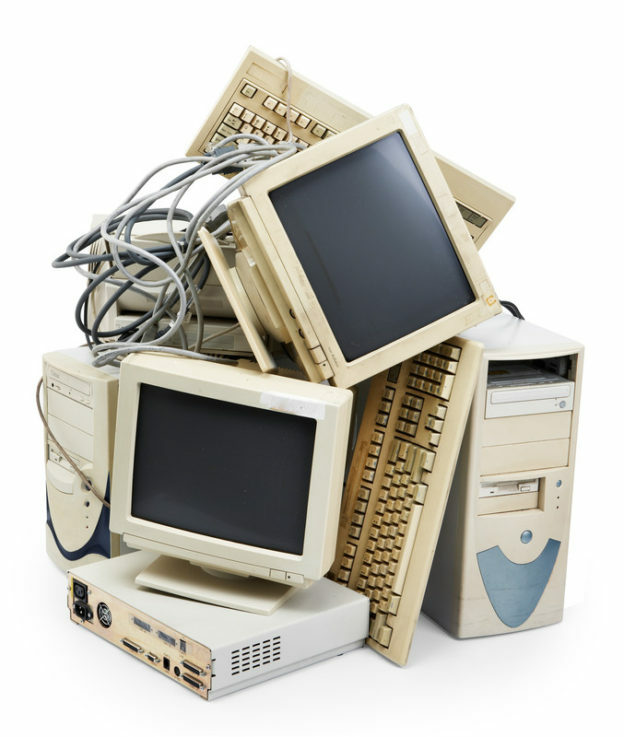 There are obviously downsides to upgrading your entire computer system or even major components, such as the expense, downtime, and training involved. When the cost for maintenance and repairs for your current system starts to increase exponentially, you have to rethink the pros and cons of updating and decide which option is more cost-effective. You don’t want to keep hemorrhaging money for repairs when you’ll ultimately have to upgrade, as well. This is not necessarily the end of the world, but it can herald the beginning of the end when it comes to technology. Out-of-date hardware and programs can still be used, but what you’re bound to notice when technical support from the manufacturer is withdrawn is no further updates are issued. This could mean that your current infrastructure is not compatible with newer programing. More importantly, it won’t offer the same security as newer products, and this problem will only get worse over time. When you find out that manufacturers are no longer willing to support products, you need to at least start thinking about upgrading to new or different options. Like a lack of support, this situation can prove problematic in a couple of ways. For one thing, you have to make sure your company meets computer security standards in order to comply with federal, state, local, and industry-wide privacy laws, as well as protect the sensitive data your clients or customers entrust you with. In addition, however, products that don’t meet minimum requirements will not integrate with newer products and they may even cease to function should you try to pair them with incompatible systems. If you start to receive warning messages when you try to install new software, it’s a good bet you need to upgrade. If you’ve exercised due diligence, then you planned and created a system that could grow and change with your company, at least to an extent. However, you may see growth at a rate you couldn’t have conceived of, or you may spot a changing need in the industry and decide to pursue it. In either case, you could find your company in need of vastly greater or different technologies that you never anticipated. If your ability to grow or change directions in an expedient manner is being hampered by inadequate and outdated technologies, it’s definitely time for upgrades that will allow you to explore new opportunities. The good news is that your business expenditure in this situation is likely to bring about a major payoff.